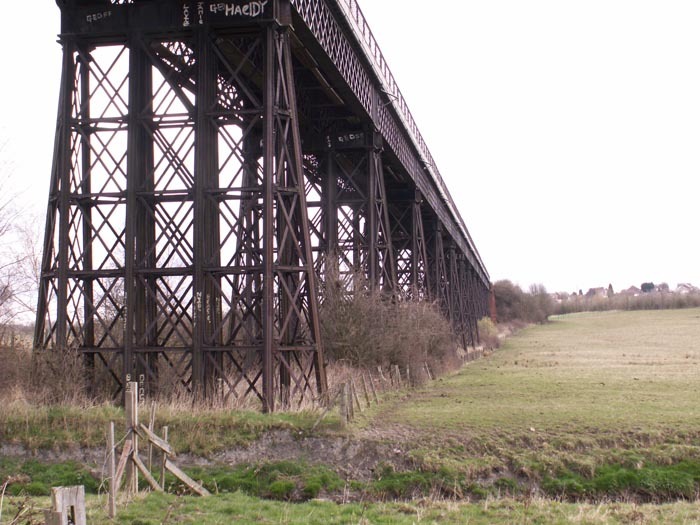 This impressive lattice work structure is Bennerley Viaduct which was built in 1878 by the GNR to carry their line over the Erewash Valley near Ilkeston, Derbyshire. 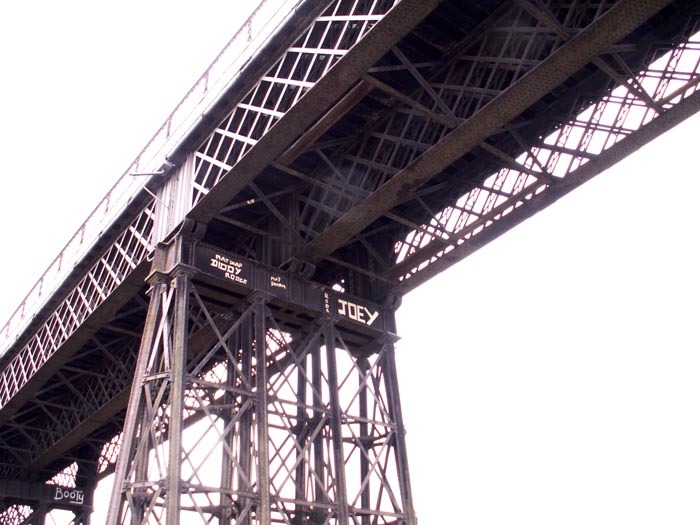 The 500 yard long, trestle constructed viaduct, built in the same support style as Dowery Dell viaduct on the Halesowen Railway, is now a listed structure and is quite an impressive relic of a now-lifted line. 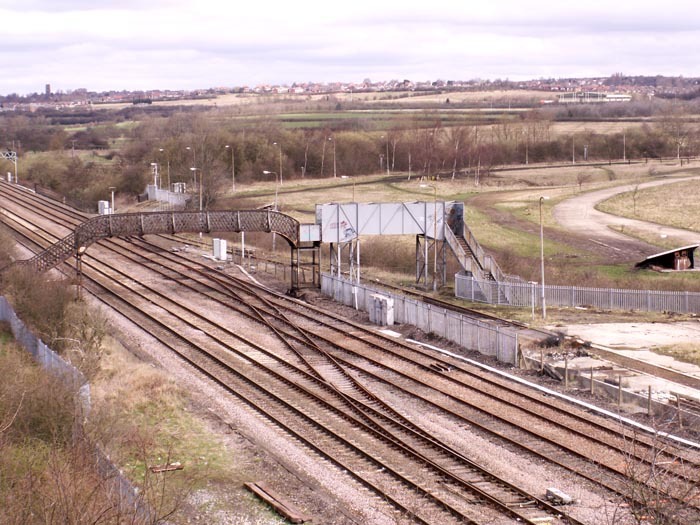 This shot shows the viaduct crossing the Midland Railway's Erewash Valley line. 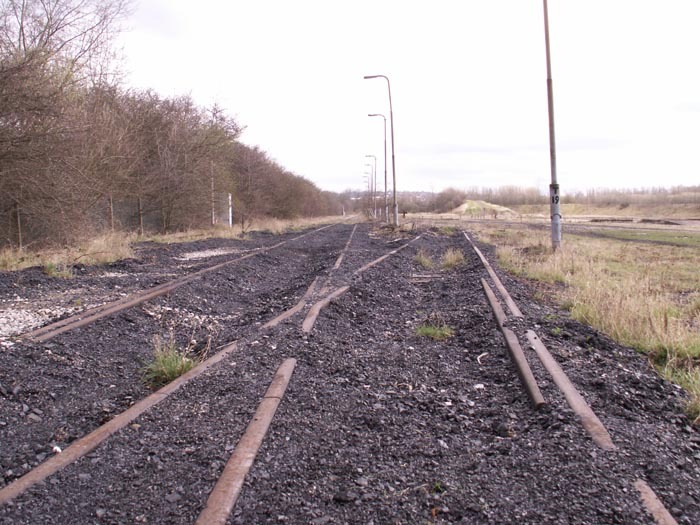 Here we have the Erewash Valley line to our rear and are looking at the trestle supports. 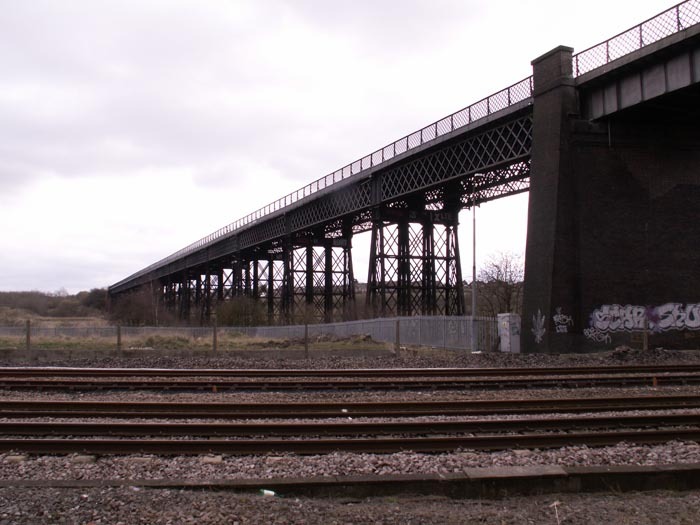 As in the previous shot, here we can see the trestle construction which is, in relation to the Halesowen Railway viaduct, of twice the width as this viaduct carried a double track. 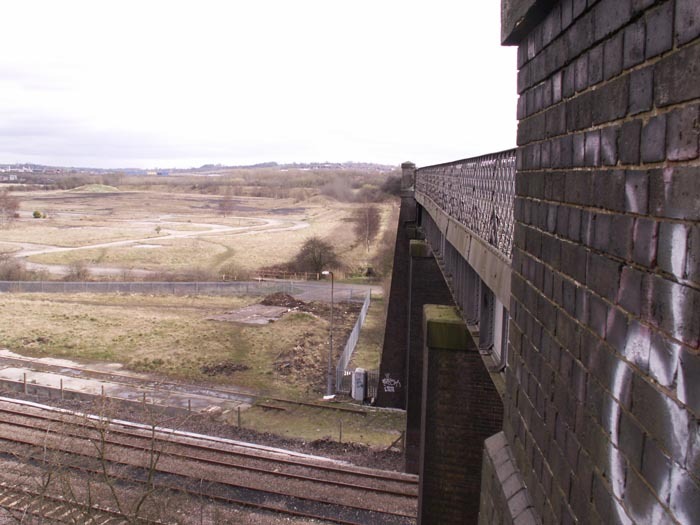 After taking my life in my hands, I clambered up the truncated embankment to take this shot of the viaduct deck looking away from Ilkeston. For this shot I hung off the side of the viaduct with one hand and had my camera in the other - I am quite pleased with the result! Turning slightly to the left of the previous shot, here we can see the Midland Line and, to the right of the footbridge, the remains of the rail-connected Bennerley Coal Screening Plant. 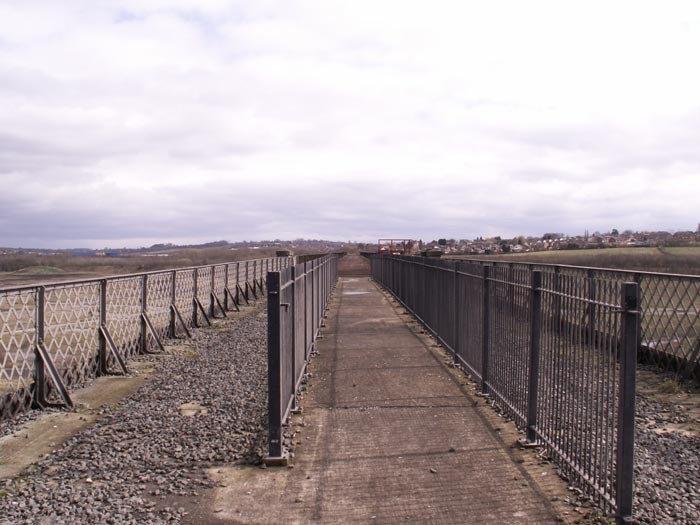 After spotting the old coal mine and screening plant site from the viaduct I thought I'd scramble down and cross the footbridge and see if I could gain access to the site. Below are some of the results of this endeavour - I also took some shots of the underground shafts but decided this was not an appropriate site to display them. 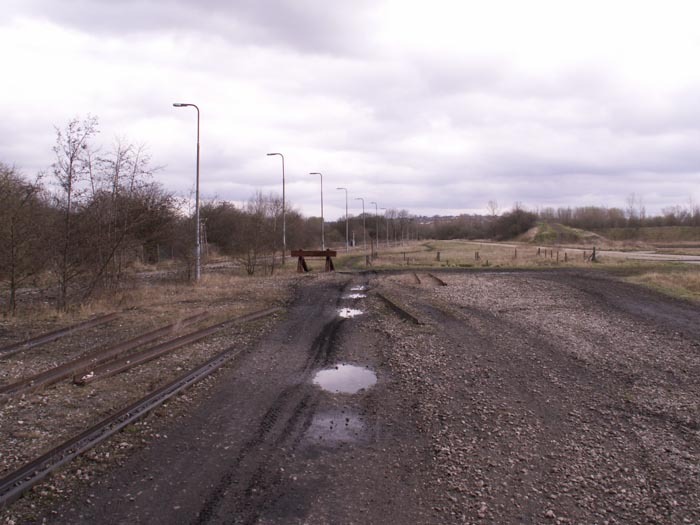 With the Midland line to our rear, and viaduct to our right, here we see the line entering the site of the coal plant. 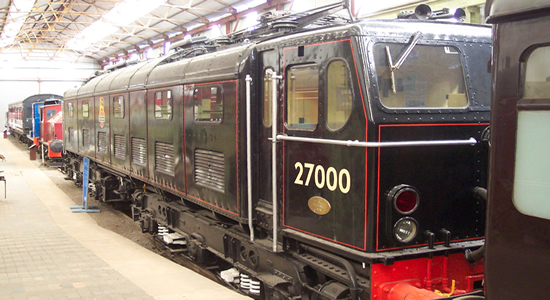 This shot shows gives a good indication as to the function of the site, the coal fulling the track presumably indicating that here was a loading siding. 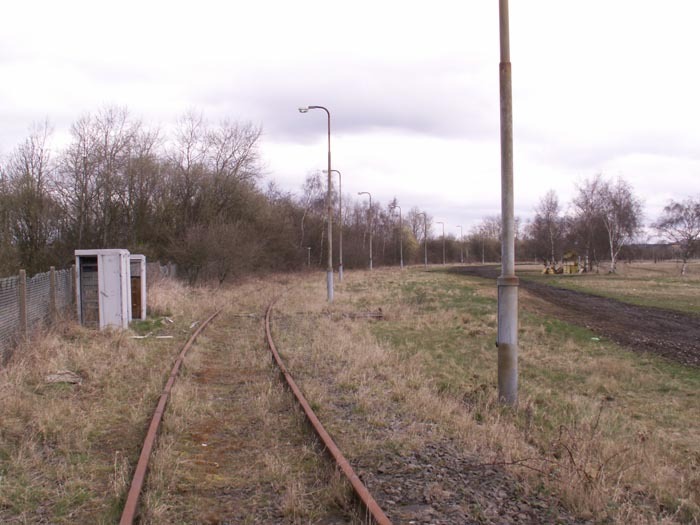 Here we have moved slightly to the right of the previous shot and can see the site of the loading sidings and a buffer stop. 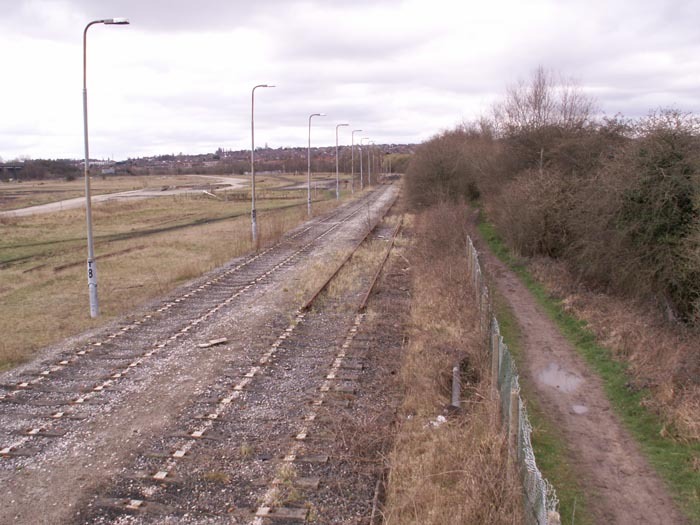 Here I have climbed a signal post - inspired by Mark Norton's father - and we are looking back towards the junction with the Midland main line. 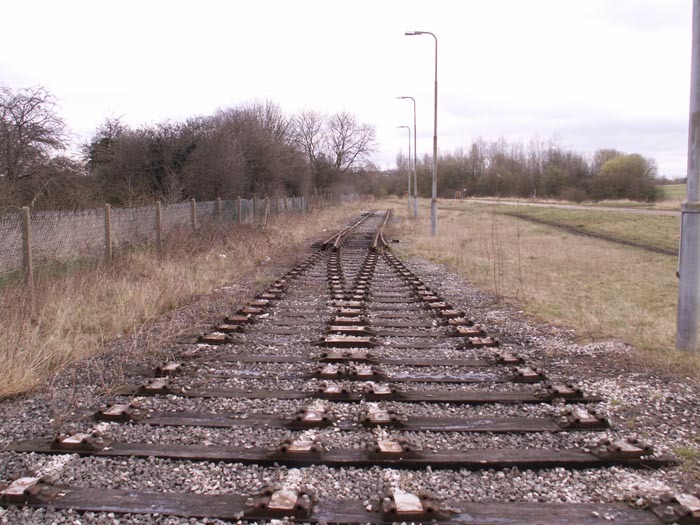 For some reason, sections of the line have been dismantled: here is a point section with line removed. 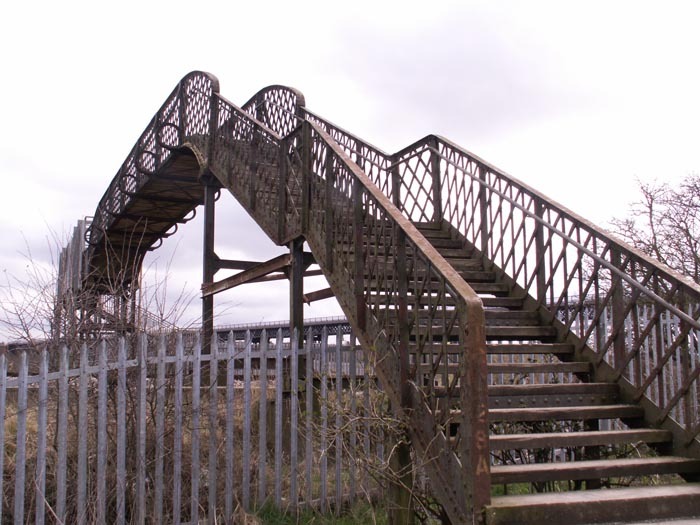 Here we see the footbridge over the Erewash Valley line that would have carried mine workers, and workers to a Naptha plant also on the site, to their place of work in days gone by.